This keertan smagam took place in the jail where Bhai Fauja Singh was being held. Bhai Fauja Singh had managed to convert many of his fellow prisoners to Sikhi. 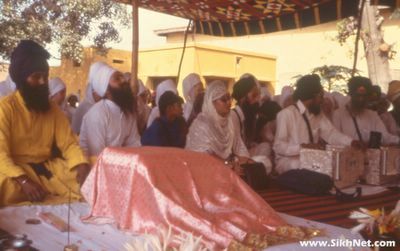 An amrit sinchar was held in the jail, and among those that became Sikhs was the Hindu Warden. I request that all pictures of this hero please be put up. Seeing him is like seeing the likes of Bhai Mani Singh or Baba Deep Singh.